I had to find out more about them and, if possible, track down an actual Boswell Sister to talk to. Vet Boswell, Joe Tarto and Aura Lee: a family recording. Aura had history with the music of the 20s and 30s as a member of the Houston/LA based group “Sporting Life,” so what seemed to be an incomprehensible gap in her music education became a compelling issue for her. This was the beginning of a long distance friendship with Vet that was peppered with many visits to her home in Peekskill. 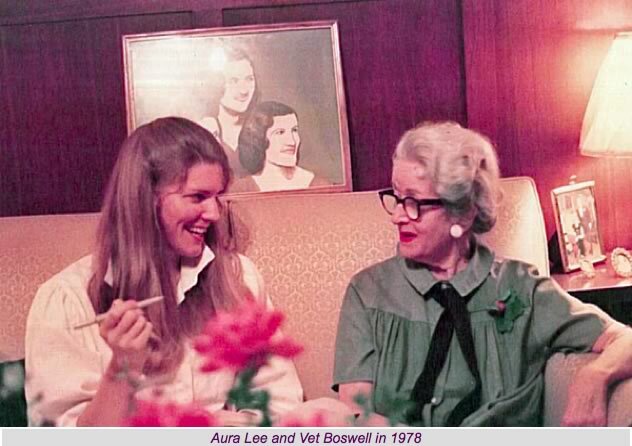 In fact, Aura first met Vet in December 1977, just one month after renown Boswell Sisters’ researcher David McCain had made his first Peekskill pilgrimage. Vet encouraged Aura’s exploration of the music and shared both suggested avenues of research and personal memories. “Vet was on fire to make sure that The Boswell Sisters music and story be preserved and remembered and that whoever was involved would “GET IT RIGHT,” Aura emphasized. That may have been part of the reason that Aura began taping many of her conversations with Vet. One of the things Aura noted was, “The magic of the Boswell Sound includes not only the unique alchemy within the trio itself, but their remarkable ability to inspire, collaborate and improvise with the world class players that took to the stage and the studio with them.” She attributes this to the strength of their musicianship, the warmth of trio’s personalities and the fact that they were truly a part of the New Orleans jazz tradition. 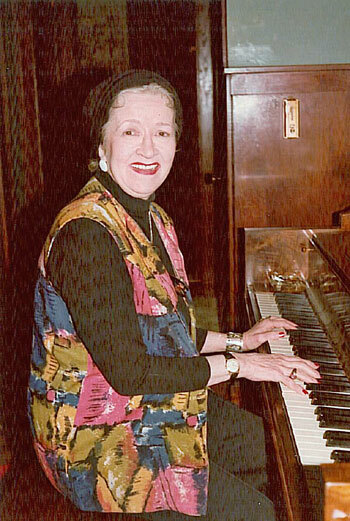 Already a jazz sleuth, Aura was able to track down one of the Boswell Sisters’ earliest Brunswick collaborators, Joe Tarto. 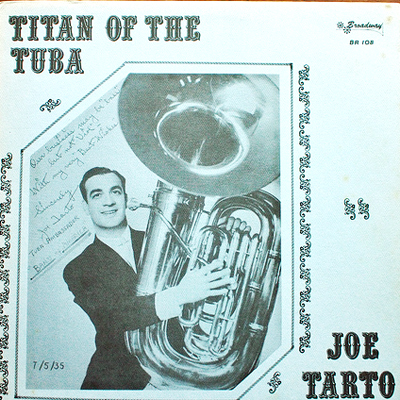 Joe was a string bassist and tuba player who was part of the cadre of musicians who collaborated on the Boswells’ first New York recording. You hear his string bass on When I take My Sugar to Tea, Roll On, Mississippi, Shout, Sister, Shout, It’s the Girl, Heebie Jeebies, and many of Connie’s early solos cuts. Joe became part of the Boswell’s favorite group of recording musicians. ”Vet told me that that of all the boys they recorded with, they felt closest to Joe,” Aura recalled. Aura arranged to have Joe and Vet speak on a telephone call, with her trusty cassette recorder close at hand. Vet would be proud of you, Aura.